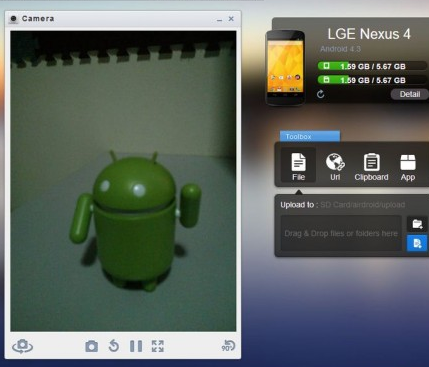 AirDroid Helps You Remotely Manage Your Android! There are certain times when we desperately want to have a tool to remotely access and manage our smartphones. I for one, get pretty annoyed with dealing my smartphone when I am working on something on my laptop and have to actually get up to reach to my phone. For people like us with a lot of multitasking needs, apps like AirDroid are like a whiff of pastry getting baked – comfort and peace. Android smartphones do much more for us than just being the communication medium. Files, apps, contacts, and yes communication too, we have to use our smartphones for every other thing. To get more productivity out of our gadgets, need of remote managing apps becomes a necessity. This post’s aim is to help you learn how you can remotely manage your Android from a web browser of your machine using AirDroid app. The best thing about this app is that it is compatible with all major browsers (Chrome, Firefox, Opera) and operating systems (Windows, Mac OSx, Linux). Manage SMS messages – type, send, read and search through your text messages. 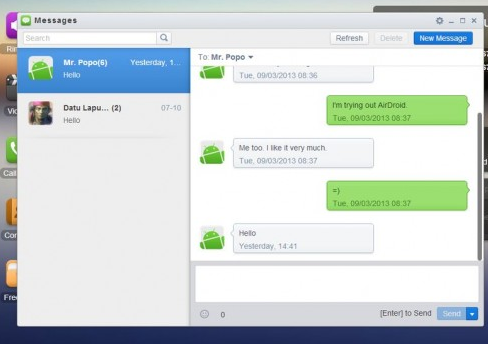 Manage contacts – click on the Contacts button on AirDroid to manage your contacts. Managing contact groups, adding / editing contacts, and other basic stuff can be handled remotely. 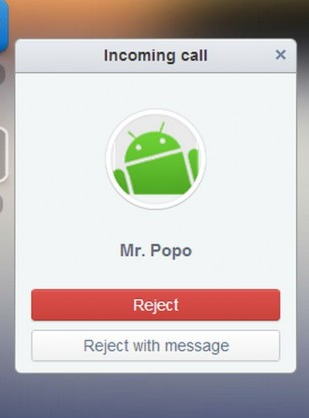 Calls – when someone calls, you can reject or send message to the caller. Sadly, you cannot attend the calls, yet. You can also manage call logs and set / edit / upload ringtones. Manage photos, videos, files and folders. Other features include finding your phone, using camera remotely, taking screenshots and more! 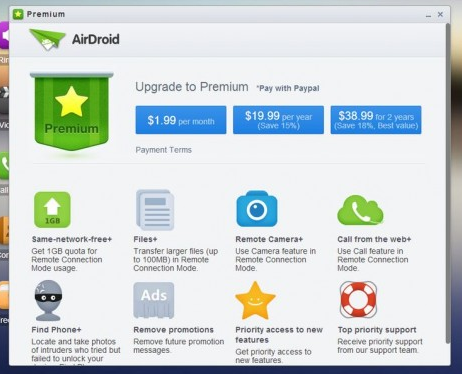 Remotely manage your Android with AirDroid but don’t forget to update us with your valuable feedback!